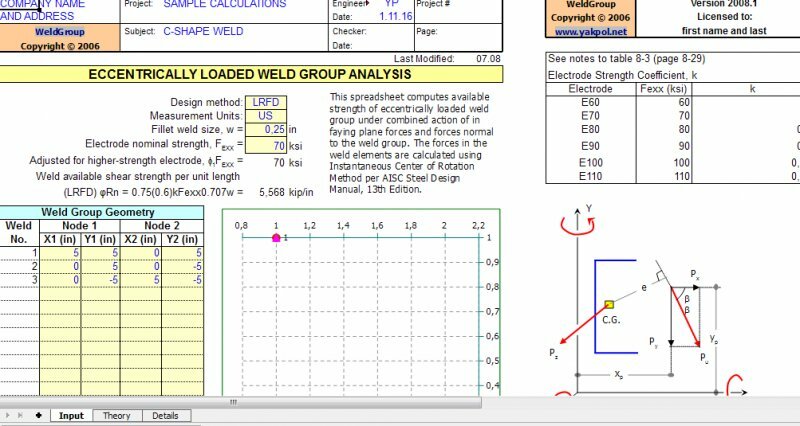 WeldGroup computes available strength of eccentrically loaded weld group under combined action of in faying plane forces and forces normal to the weld group. The forces in the weld elements are calculated using Instantaneous Center of Rotation Method per AISC Steel Design Manual, 13th Edition. Spreadsheet provides design summary, detailed results, and fundamental theory and formulas. 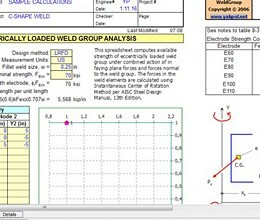 * WeldGroup download link provides demo version of the software. Calculates structural properties of general cross-section. Also calculates torsional properties of thin-walled section including shear center and warping moment of inertia. No one has rated WeldGroup yet. Be the first to rate this product.